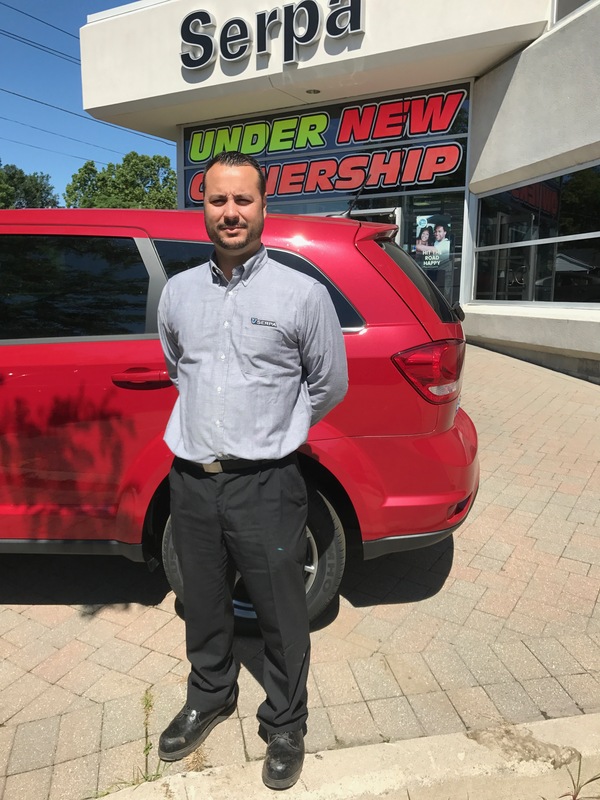 We are pleased to announce that John Cristofaro has been named Operatons Manager for Serpa Chrysler Dodge Jeep RAM, moving from his position as assistant parts manager to a dealership-wide responsibility. John has had a great deal of experience at many levels of the operation and has been with the Serpa Automotive Group for more than 16 years, first at our former Mazda dealership, then at Serpa BMW in Newmarket. He got his start cleaning cars and delivering them to customers, before moving into parts management, where he has been since. He is married with two daughters and his job satisfaction comes from ‘helping customers get what they need.” We look forward to benefitting from his customer-oriented service all across the dealership.